Mary Beth Hammond, a Fifth Third Private Banker, helps manage your day-to-day banking needs while also providing deposit and lending guidance. Mary Beth works with team members throughout our various services departments to ensure all of your financial needs are addressed. Mary Beth joined Fifth Third in 2001 and provides customized personal cash management and lending solutions to her Private Bank clients. She works with a team of highly skilled specialists who offer services such as Wealth Planning, Investment Management and Trust Services. 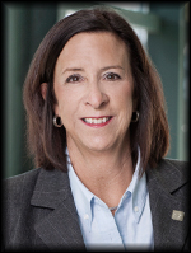 Mary Beth currently serves as Vice Chair for Owens Community College Board of Trustees and on the Owens Foundation Board. She is a past president of the Bowling Green Chamber of Commerce and a graduate of the Joann Davidson Leadership Institute. Mary Beth is a graduate of University of Northwestern Ohio.